What is the Freedom of Information Act (FOIA) and why is it important? FOIA is an acronym for the Freedom of Information Act, which itself is an abbreviated title of a U.S. federal law first passed in 1966 that took effect the following year. Codified at 5 U.S.C. § 552 and signed into law by LBJ, it was enacted for the stated purpose of implementing “a philosophy of full government agency disclosure”. 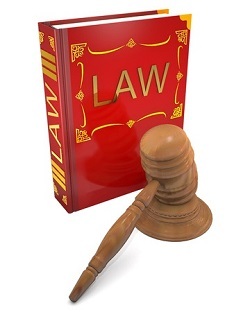 Since then, various provisions of the law have been amended via assorted legislative and executive acts. Since its initial passing, the act has been controversial and has been tested by transparency advocates and by certain politicians. Why is FOIA so important? The answer is best summed up with three simple but profound words: “Knowledge is Power”. Any democratic government must always ultimately be run for and by the people – not by those in elected office. Without legislative machinery like FOIA working at high gear, politicians might be more inclined to abuse their power with the knowledge that their actions could be kept from the general public’s eyes. NLRB v. Robbins Tire Co., 437 U.S. 214, 242 (1978). The most obvious beneficiary from the law is the general public. The ability of the average citizen in the country to be able to request information on the activities of the government and elected officials is a powerful tool. It makes politicians drastically more accountable for their actions and dramatically improves government transparency. It doesn’t take much to comprehend the incredibly high value of FOIA in each case related above. Given all the clear benefits to U.S. citizens and the democratic government of the country, it makes sense to continue to defend and strengthen FOIA and to go after politicians that try to weaken or not enforce the law. It is so important to make sure that full public records access is available to every person in the country.